Being independent means that we can offer you totally unbiased advice. We are not limited to certain lenders or products so can ensure that you get the advice that is most suited to your needs. We are strong advocates of independence and would recommend a visit to www.unbiased.com, if you are interested in contacting independent companies in the financial or legal professions. We operate nationally and most of our clients are located outside our area. However, we have always had a strong presence in Plymouth and the surrounding areas and because we live and work in Plymouth, we are available to our clients at almost any time; whether you wish to phone us, email us or drop in for a chat. We only ask you let us know, in advance, if you are visiting, so we can ensure privacy for our talks. Our clients will probably tell you that nothing is too much trouble. We make the effort so you don't have to. We don't have official opening hours and we often receive calls from clients in what used to be called 'unsociable hours'. We also have clients with properties abroad, so need to accommodate their hours, too. 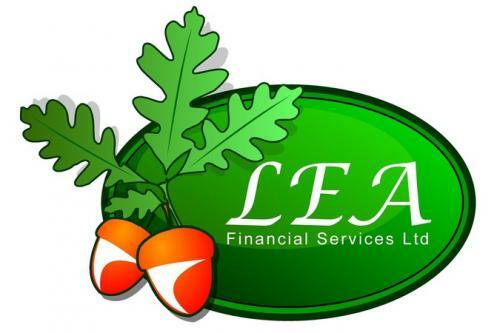 LEA FS has been designed to provide independent, unbiased and ethical advice to private and business clients who are seeking finance on homes, let properties and commercial premises. We offer Advice and Arrangement on all types of mortgages and loans including. Residential and commercial mortgages, First time buyer mortgages, home-movers and refinancing deals on Buy to lets, Holiday homes, Holiday lets and foreign properties. We also offer advice & arrangement of personal, business and property insurances to meet your needs from the whole market place. In addition, we can arrange a wide variety of extra services. Contact us for a complete list. Property surveys, Building Surveys, Legal Services, Web-site Development. In fact, if there is a service you need, talk to us because, even if we don't offer it, we probably know someone who does. I'm based in London and have never met Les in person but, over a period of about 10 years, I have used his services for 4 different mortgages. I first went to him out of frustration with some London-based brokers. Whilst they hardly had time to discuss my needs and appeared to be trying to palm me off with something quickly so that they could earn their commissions with the least amount of effort, I found Les to be quite the opposite. He is thorough, always keen to discuss my situation in detail and seemingly more experienced and intelligent than his city-based counterparts. Les is one of the most honest brokers you'll ever find and he'll recommend the financial product which is most appropriate for your requirements. 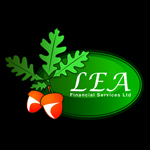 We recently used LEA when moving house, they understood what we were trying to achieve and were very helpful. They did all the work for us and it was such a relief to know we didn't need to worry. We have now successfully moved house and I can't imagine the problems we would of had without them. Thanks! Thank you Les for all your help and advice. I wouldn't know what I would have done without all your help. I will definintely use you again and recommend your services.